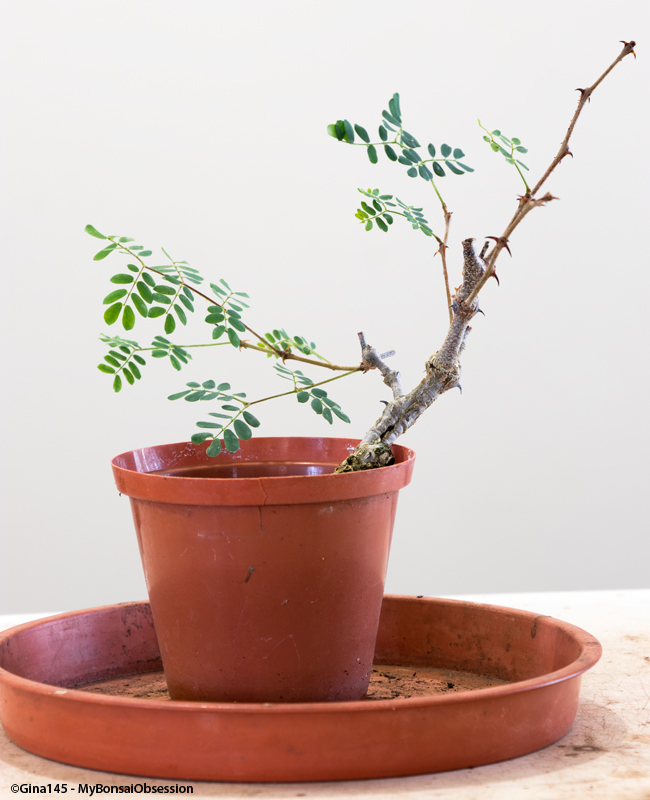 About 18 months ago I removed a one centimetre thick branch from one of my Acacias. As I so often do when I prune my trees, I decided to see if I could that branch to root. All summer long it was covered in foliage, leading me to believe my effort had been successful. Then one day I accidentally pulled it out of its pot. There were no roots! I put it back in the pot and continued to treat it as I had before. It went dormant for the winter, then produced a few new leaves in spring, and its "life" went on as before. This morning, as I was moving some of my little trees around in search of items for my club's raffle table, it got hooked onto another tree and came out of the pot again. Still no roots. I took it along to this afternoon's meeting and gave it to an acacia lover who seemed keen to see if he could get it to root. I hope he has better luck with it than I did.